In the long history of American products, some initially odd ideas were transformed into household staples and cultural icons that Americans now take for granted. Most US invention stories involved luck, perseverance, and usually a strange quirk of ingenuity. Some backstories of American items, like the Etch-A-Sketch or the aerosol can, merely involved ideas or technologies developed elsewhere and adapted creatively in the US. But there are also some very unique US product stories, frequently involving unintended consequences and bizarre outcomes, behind how certain products were invented. Here is a list of some of the best. In 1938, Fred Morrison and his girlfriend were playing catch with a cake pan on the beach near New Haven, Connecticut, when an onlooker offered to buy the disk for a quarter. Morrison started a small business selling the tins on the beach, but World War II interceded and he wound up in the Air Force, where at least he learned something about aerodynamics. He was fascinated with the concept of the flying disk, and teamed up with a backer, Warren Franscioni, to develop various prototypes to capitalize on the flying saucer craze. None of these efforts really went anywhere and he and Franscioni parted ways. By 1954, Morrison was making and selling something he called the Pluto-Platter, and his first breakthrough came in 1957 when he sold the marketing rights to the Wham-O company, a company responsible for various novelty items ranging from the Hula-Hoop to the as-yet-uninvented Super Ball. At that time Wham-O had one product, a wooden slingshot - hence the company's name, supposedly the sound made when the toy's projectiles hit a target. 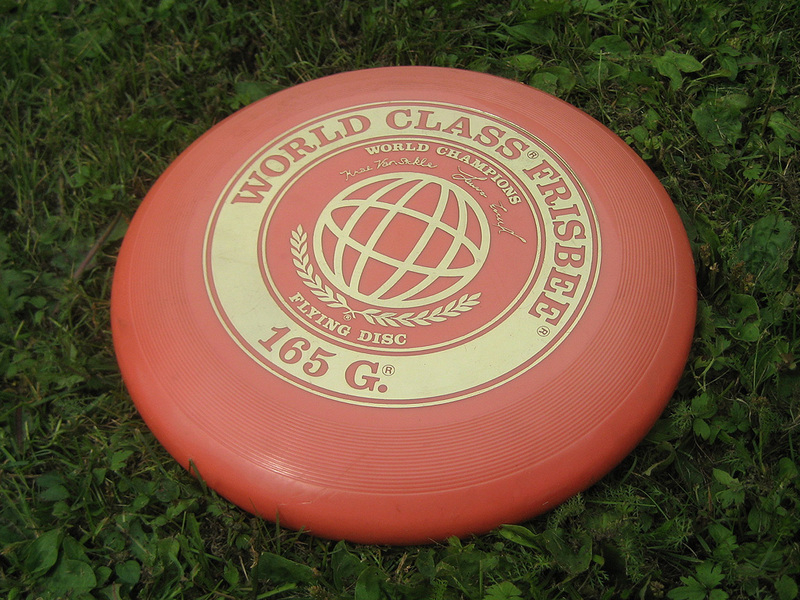 Wham-O immediately changed the name of the flying disk to "Frisbee," which came from the Frisbie Pie Company, which supplied pies to Yale University. Students started tossing the tins, stamped with the company name, around campus. Wham-O also worked on the design of the disk, so it could be thrown faster and with more accuracy. Sales exploded, and the toy was adapted for various sports including Frisbee golf and Ultimate Frisbee. Two hundred million Frisbees have been sold since 1957 and Wham-O paid Fred Morrison over two million dollars in royalties before his death in 2010, aged ninety. In 1943, Richard James was a mechanical engineer at a shipbuilding company when he knocked an experimental spring off of a bookshelf and it behaved in a distinctive manner. James experimented until he came up with a prototype that could literally walk and right itself. When he demonstrated it to kids in the neighborhood, they were mesmerized. His wife, Betty, came up with the name "Slinky." In November 1945, the Jameses put on a demonstration of the toy at the Gimbels Department Store in Philadelphia and sold four hundred units in an hour and a half. The couple formed their own company and enjoyed tremendous success. Unfortunately, Richard James became involved with an evangelical religious sect that drained both his interest in the business and the company's considerable assets. In 1960, James announced that he was moving to Bolivia and that Betty could do whatever she liked with the company. Betty divorced Richard and as CEO, staved off creditors, put the company back in decent financial shape, and commissioned the famous Slinky song that became the longest-running advertising jingle in history. She also ignored her husband when he pleaded with her to convert and join him in Bolivia. Richard subsequently died in 1974, and Betty continued to run the business until 1998 when she sold it to another toy company. By then, Slinky had sold three hundred million units and today it remains one of America's most popular toys. In 1890, in preparation for Chicago's massive 1893 Columbian Exposition, the chief architect of the fair requested that his designers put together a symbolic structure that would be Chicago's equivalent of the Eiffel Tower. George Ferris, Jr., a 33-year-old Pittsburgh engineer, originally was rejected when he proposed a giant steel wheel with suspended carriages that would carry them to a diametric height of 250 feet, taller than the Statue of Liberty. He persisted, paid for his own studies that showed that his design was both safe and feasible, and ultimately his "Ferris" wheel became the centerpiece of the exposition. Individuals paid fifty cents for a twenty-minute ride that was a sensational experience. Unfortunately, after the fair was over, Ferris wound up in massive litigation and ultimately bankruptcy. He died of typhoid fever, aged 37, in Pittsburgh. His wheel was used at another world's fair in St. Louis in 1904 and ultimately destroyed two years later with dynamite. In 1965, University of Florida football coach Ray Graves asked some professors at the school's college of medicine if there was any kind of medical remedy for the replacement of fluids and nutrients lost during athletic activity. A team headed by Professor Robert Cade came up with a substance consisting of water, sodium, sugar, potassium, phosphate and lemon juice. The initial combination of ingredients was virtually undrinkable, but became more so with additional lemon juice. The Florida Gators went 7-4 in 1965 and in 1966 went 9-2 with their first Orange Bowl win and players on the team credited the amazing drink now known as "Gatorade." Unsure of any benefit, many college programs began ordering the concoction from Cade and when, in 1970, the NFL Kansas City Chiefs won an upset Super Bowl after consuming the sideline drink all season, it became an athletic staple. Cade negotiated with a food manufacturer to mass-market the commercial rights to "Gatorade" after the University of Florida refused his business proposal to help market the product. Cade invested his own money and began earning substantial royalties prompting the State of Florida to sue to obtain patents from Cade and the original team that invented the drink. The case was settled out of court, leaving Cade and his original group with eighty per cent of the royalties, Florida with twenty. 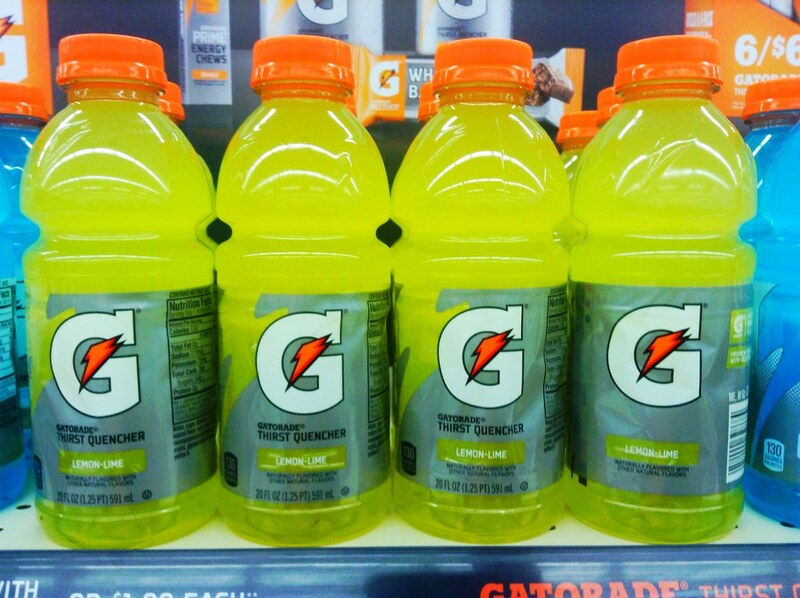 Today, Gatorade is a billion-dollar business owned by PepsiCo.